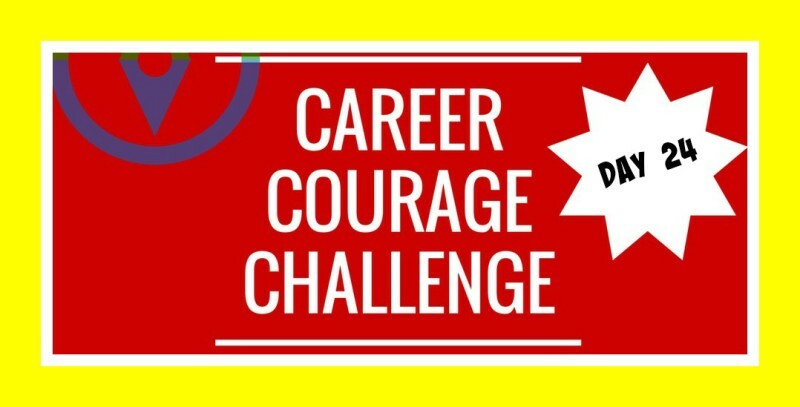 Welcome to the 24th day of our Career Courage Challenge! So glad you’re here, and we love to hear your discoveries, insights, and questions. Just email us or write in the Comments at the end of this article, or on Facebook and LinkedIn, too. I’ve been taking the challenges along with you–read my notes in each day’s Comments. This week, you’ve already met your fear (Day 22) and then decided what to do when that fear hits (Day 23). Today, let’s try another way to counteract our fear muscles. But not just anything. Something surprising. Something that you usually wouldn’t ask for. Something maybe even difficult to ask for. Because practicing our asking helps us stay clear about what we want. It also forces us to start sharing what we want with others in our world of work. And while what you might ask for might feel surprising to you, you might be surprised that others are happy to give you what you want. They only needed you to ask. What will you ask for today? For ideas, watch our short video (2 min, 11 sec). What to ask for? This is a tough one for me. I don’t really like to ask for anything. I don’t know about you, but I want to be seen as self-sufficient, and there’s something strange about being brave enough to first identify what you want, and then to ask for it. So as I travel through these Career Courage Challenges, I think the thing I need to ask for is patience and kindness, from me, to me. I want to be brave and bold right off the bat, but I have to keep learning how to first know what I need, and then to ask for it of my colleagues, clients, friends, and readers just like you. Thanks for being here!